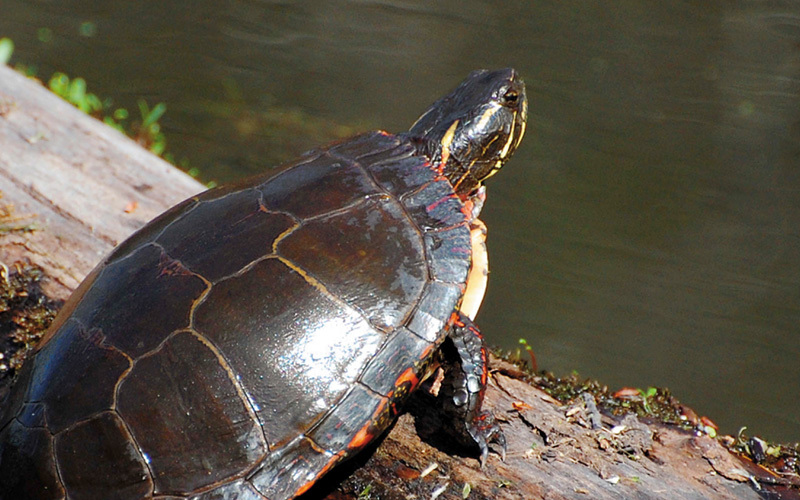 The Red Eared Slider gets its name from the small red stripe along the head and neck. They also have yellow markings under the chin and the body is a green to dark green coloration. The “slider” part of their name comes from their ability to slide off rocks and logs and into the water quickly. Males can be identified because they have larger claws on their forelimbs than the females.